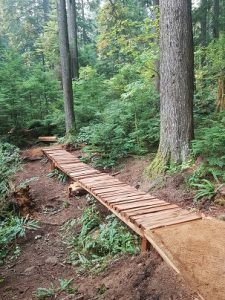 We’re heading into the best time of the year for trail work as Summer transitions back into Fall! 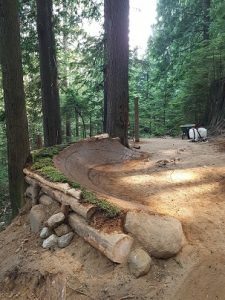 Since the middle of August, the trail crew have been making sure that some of the busiest trails on the mountain stayed fresh as well as getting some much needed projects and bridge replacements done. 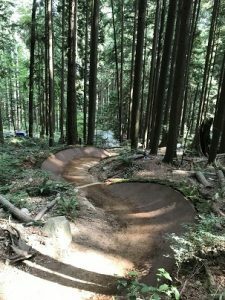 They’ve been busy on Boogieman, Bobsled Crinkum Crankum, the Griffens, Grannies, Dreamweaver, Leppard, Digger and Expresso. 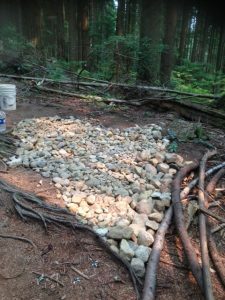 The youth from Escape Adventures and Endless Biking kept up the excellent work on the Griffens, having completed 983 hours of trail work over the summer! 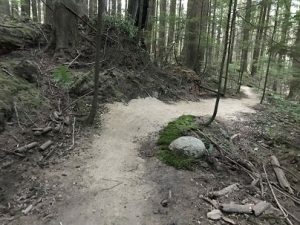 Despite the dry weather minimizing the amount of dirt work, builders were still busy with regular upkeep and some projects on Boogienights, Lower Expresso, Baden Powell on Fromme and the Fromme Ascent. 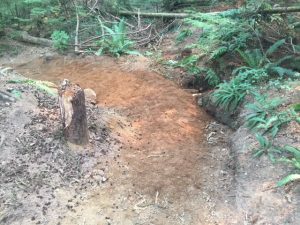 Now that we’re fully into September and the rain has returned, we’re entering into one of the busiest time for trail work! And Remember to report any maintenance issues you see on the trails via Trailforks!